BETHEL, New York, Dec. 27, 2018 /PRNewswire/ — Bethel Woods Center for the Arts (BWCA), a non-profit cultural center located at the historic site of the 1969 Woodstock festival in Bethel, NY, Live Nation, the world’s leading live entertainment company, and INVNT, a global live brand storytelling agency, today announce Bethel Woods Music and Culture Festival: Celebrating the golden anniversary at the historic site of the 1969 Woodstock festival. Coming August 16-18, 2019, this pan-generational music, culture, and community event will be held at BWCA just 90 minutes from New York City. These three days of memorable experiences will include live performances from prominent and emerging artists spanning multiple genres and decades, and TED-style talks from leading futurists and retro-tech experts. Festival goers will also be able to visit the Museum at Bethel Woods, which tells the story of the 1960s through immersive media, interactive engagements, and artifacts from the 1969 festival, as well as experience the special 2019 exhibit We Are Golden:Reflections on the 50th Anniversary of the Woodstock Festival and Aspirations for an Aquarian Future. The three-day festival will utilize BWCAs’ state-of-the-art venues and facilities. Entertainment villages and a number of bespoke performance areas will be specially created for the occasion. Full details of the event line-up, ticketing, non-musical experiences, and brand activity will be released soon. The Bethel Woods Center for the Arts’ celebrations marking the 50th Anniversary of the greatest festival of all time, planned for the Summer of 2019, are not produced, sponsored by or affiliated with Woodstock Ventures LC, the organizer of the 1969 Festival and its other reunion festivals, and are not WOODSTOCK® events. Bethel Woods Center for the Arts is a not-for-profit cultural organization, located at the site of the 1969 Woodstock festival in Bethel, NY. Located just 90 miles from New York City on a lush campus featuring bucolic countryside views, the Center is comprised of the Pavilion Stage amphitheater that accommodates 15,000, an intimate 440-seat indoor Event Gallery, and the award-winning Museum at Bethel Woods. The Center offers a diverse selection of popular artists, culturally-rich performances, and educational, community, and museum programs committed to inspiring expression, creativity and innovation through the arts. 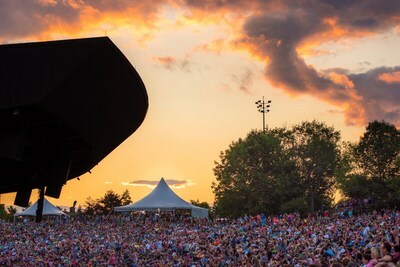 Bethel Woods is exemplary in its efforts to engage, inspire and advocate for the accessibility of the arts for all ages and to connect with community partners to broaden programmatic reach and to strengthen support and resources for its activities. The Museum at Bethel Woods is dedicated to the study and exhibition of the social, political and cultural events of the 1960s, including the Woodstock festival, and the legacies of those times, as well as the preservation of the 1969 Woodstock festival site. More than a nostalgic celebration of a colorful decade, the award-winning Museum provides a focus for deeper issues and lessons of the decade. The Museum is a dynamic and vibrant community resource where individuals and groups of all ages participate in tours, lively lectures, cinematic conversations, changing exhibitions and special events. The Museum features include a permanent exhibit space, Special Exhibit Gallery, Corridor Exhibit Gallery, Museum Theater, Event Gallery, retail store, cafe, and the Woodstock Monument. For more information, please visit www.BethelWoodsCenter.org. Live Nation Entertainment LYV, +2.43% is the world’s leading live entertainment company comprised of global market leaders: Ticketmaster, Live Nation Concerts and Live Nation Media & Sponsorship. For additional information, visit www.livenationentertainment.com. Founded in 2008, INVNT was created to be the best live brand storytelling agency in the world. INVNT’s offices are strategically located in New York, London, Sydney, Detroit, San Francisco, Washington D.C. and Stockholm. For more information, visit http://invnt.com.